In this week's news is the guilty plea, to major money laundering charges, of a Mexican national named Edgar Manuel Valencia Ortega, a laundry man for the kingpin Joaquín "El Chapo" [Shorty] Guzmán in Chicago. Here is why the case bothers me: Valencia Ortega, who was a major player in Shorty's pipeline, which shipped drug profits from the Continental United States to Mexico, is a illegal (undocumented) alien. How on earth could an illegal alien operate a major money laundering network in the United States ? The reason is because the US Immigration enforcement program is broken; there's absolutely no excuse for this law enforcement malpractice. Moreover, if this is one case we have seen, expect that there are many, many others. That's all we need, Latin American money launderers, who are undocumented aliens, moving narco-profits inside the United States. Customs and Border Protection (CBP) should be ashamed of itself. One wonders how many times Valencia Ortega came into, and left, the US, while supervising the movement of millions of dollars in criminal proceeds. The pending proposed shell company regulations, designed to require US banks to obtain the identities of all shareholders of twenty-five per cent or more of corporations holding accounts, are flawed, and requires modification, to be effective. You have to give the practicing money launderings working in America due credit for both imagination, and diligence, for they stay up night and weekends, just to beat the banks. A decade ago, before I was the Financial Crime Consultant for World-Check, I was a compliance officer at a large investment firm, specializing in enhanced due diligence investigations. Our rule was simple: all ten per cent or larger shareholder of a client corporation were to be the subject of at least a due diligence check. The customer service/sales staff told their prospective clients to reduce the share ownership anyone who was dodgy to 9%, to evade that requirement. When I found out about it, I had the floor reduced to 5%. When it comes to commissions and bonuses, your sales staff will find a creative way around your fixed rules. If you are a money launderer, and you have a client that will not pass muster, you can give him only a token number of shares, and have the controlling shares held in another name, and endorsed in blank, to be filled in only when needed. As you can see, the FinCEN rule will be ineffective. (1) Check ALL shareholders, not just those who are prominent. (2) Physically examine the stock certificates, to ascertain whether any are endorsed in blank, and make photocopies. (3) Require that the corporation's attorney sign an Opinion of Counsel, attesting to his own due diligence, and identifying all beneficial owners by name and address, and warranting that he will notify the bank, via registered mail, should there be any change in ownership. Lawyers who are partners at major US law firms will not jeopardize their law licenses. If there is no opinion rendered, decline the account. If their lawyer does not trust them, you do not either. 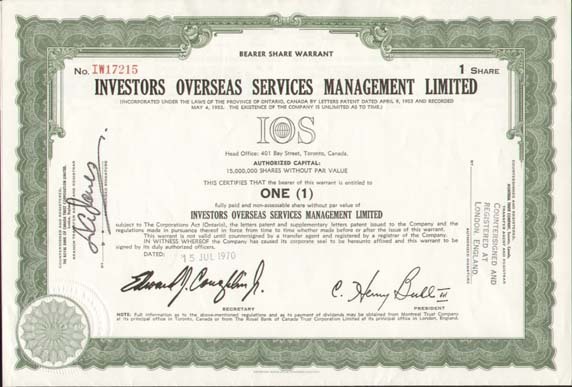 While many of the news articles are detailing the information available thus far, in the Panama Papers scandal, and focusing upon Panama, it is important not to lose sight of the fact that the law firm of Mossack and Fonseca chose not Panama, as it preferred jurisdiction for corporate formation, but the British Virgin Islands (BVI). MF used, or should we say abused, the BVIs bearer share laws, which allow the names of Beneficial Owners to be omitted, so that its criminal clients could open accounts, without fear of being named & shamed. (1) That MF started out forming companies, more or less exclusively, in Panama. (2) By the late 1980s, the BVI had become MFs jurisdiction of choice. Panama formations would thereafter be only a small percentage of those created by the firm. (3) In 2004, MF was forming over 6000 companies, annually, in the BVI. (4) BVI corporate formation would dominate at MF, through 2015. Many of the BVI companies formed by Mossack and Fonseca intentionally maintained bank accounts in other tax haven countries, making routine identification of corporate officers, directors, and of course, owners, challenging, and basically impossible. The BVI was Mossack's shell company jurisdiction of choice. Remember that the next time some lawyer tells you that his client's company is incorporated there for legitimate, tax planning, reasons. If the client does not maintain an actual commercial business in the British Virgin islands, with a physical location, think again. William "Bill" Tynkaluk, of Leon Frazer and Associates, Inc., was the investment professional for Canadian attorney, Lawrence Heath QC, for many years. Heath conferred with The broker regularly, involving investments, and the firm's management of the retired attorney's portfolio. There came a time, within the relevant Statute of Limitations, when Heath sought Tynkaluk's advice regarding the sale of a Financiera, a money service business licensed in the Republic of Panama, in which Mr. Heath held a large ownership share. 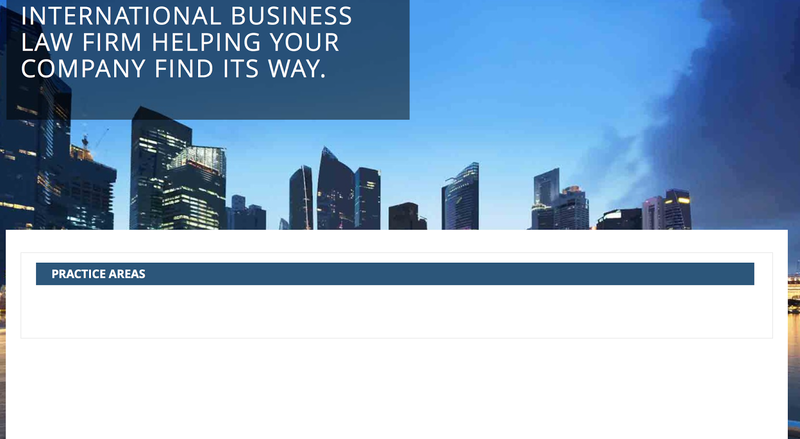 A purchaser, from the Middle East, was planning on acquiring 50% of the money service business, in large part because an MSB license, under Panamanian law, can be converted into a full-service commercial bank, a valuable commodity, especially when located in a thriving offshore financial center, such as Panama. Bill Tynkaluk advised Mr. Heath that he would assist him in closing the transaction, for his protection, and Mr. Heath, in reliance upon Tynkaluk's representation that he would utilize the capabilities of the Leon Frazer firm, turned over the entity's bearer shares, and all the books, records, ledgers and accounting records of the Panamanian entity, to him. According to Mr. Heath, and other witnesses, Tynkaluk then proceeded to commit several actions that effectively sabotaged the sale. It is alleged that he had another client who wanted to purchase the MSB, for its valuable convertible license, and that he anticipated receiving a substantial commission from that client, solely for facilitating the sale. When Lawrence Heath subsequently demanded that his securities, and the accompanying books and records, be returned to him, Tynkaluk claimed that he had already returned those items, which was an impossibility, because Heath was in Florida for the winter, at the time. Thereafter, Tynkaluk alleged that the documents were being held by Leon Frazer staff member Lyle Stein, but later admitted that this statement was a lie, and he trying to protect the Leon Frazer firm. The stock certificates, and MSB books & records were never returned to Heath, and they remain missing and unaccounted for to date, notwithstanding that Tynkaluk, and Leon Frazer, had a fiduciary duty to safeguard and preserve them, particularly the securities, which are in bearer form, and which confer ownership rights to an entity that Tynkaluk himself admitted was worth USD$10m. These shares are being held illegally by Leon Frazer & Associates, Inc., and they may have been pledged, hypothecated or given as security, without the lawful owner's consent and agreement. Given that there is pending litigation in Ontario, Where Heath is the plaintiff, we shall report on all developments in this matter, as they occur, as reflected in court filings. It's not just the bankers who have been having unannounced, huddled meetings, regarding the Panama papers disclosures; the money launderers, especially those who have ever engaged Mossack and Fonseca to form corporations for them, are also paying attention. Compliance officers can expect them to act upon it, in ways that could effect the banks where they act as gatekeepers. On May 9, the ICIJ has announced that it will release, in a mass data dump, the balance of the documents, to the public. Look for cash movement, in the first week of May, if not sooner, orchestrated by money launderers who are spooked by the possibility that their clients' companies may be named. The preferred method is to move illicit capital into an obscure jurisdiction, one that is not yet generally regarded as a tax haven, or offshore financial center. Then, the funds would be move into at least two, successive, newly formed, local companies, so as to effectively cut the paper trail, denying investigative reporters (or law enforcement agents) the name of successive companies employed in the pipeline. Even money that is no longer held by a Mossack-formed Panama corporation, and residing in accounts, under other company names, may be transferred by money launderers, in an overabundance of caution. Watch for suspicious transfers of large amounts, even from long-time clients whose activity has been minimal for several months, or even years. Businessmen in Panama City have reported that they walked right past Gary James Lindgren, perhaps the most prolific fraudster in the Republic, without recognizing him. 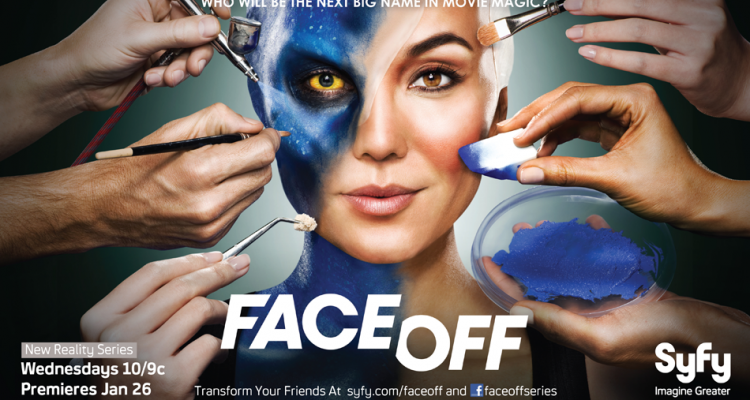 That's because Lundgren has drastically altered his appearance, through a major facelift, as well as liposuction. Apparently the pressure from his investors, who are no longer receiving fifteen per cent per month on their money, has become more than he can bear, and he is rumored to be relocating to Medellín, Colombia, where his common law wife's family lives; Griselda Perez is directly related to one Colombia's major narcotics cartels. Some Panamanians have opined that Lundgren is really fleeing the $75m civil suit against him, filed by the American businessman, and Presidential candidate, Donald Trump. Others believe that his lifetime ban on securities transactions, imposed by FINRA, is the reason for his imminent departure. In any event, the chances of an eventual criminal indictment, in the United States, are strong, and he must be aware of that possibility, which adds to his stress. His son James Lundgren appears to have been groomed to succeed his father, in operating his unlicensed Panama City brokerage, which continues to sell unregistered securities, as well as bonds, to American investors, who amazingly fail to conduct any due diligence into his dodgy background, before sending money to him. Investors who encounter any of Lundgren's Panama sales staff in the future, are urged to avoid any contact, lest they be added to a long list of North Americans who have fallen victim to his fraudulent investment schemes. Take a good look at this photograph, and govern yourself accordingly, regarding anyone from a Panama company whose name includes the word "Global." The force behind the recent campaign, coming from Panama's business community, to convince the National Bank of Panama to open a branch in New York, and to become the correspondent bank for the country's financial institutions, is none other than the powerful Syrian organized crime syndicate that dominates local banks. Syndicate-owned and controlled banks in Panama City, in danger of losing, or already lost, their New York correspondent accounts, are clamoring for such a captive, cooperating place to move money into the United States, without what they deem to be excessive compliance, meaning adequate screening. For those who wonder why such a country-specific name is attached to this organized crime group, many of the families who compose its members originally came from Aleppo, or are their descendants. 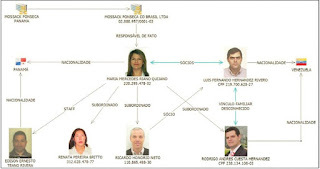 These families have intermarried, which are effectively mergers, rather than traditional couplings, and as a result, there are several interlocking ownerships of many of Panama's banks, particularly those known to be engaged in money laundering. This syndicate is reported to be so powerful, that its wishes are generally granted by senior officials in the Republic of Panama Government, hence this bold request to use the state-owned National Bank of Panama (not a central bank), to replace the lost correspondent relationships of syndicate-owned banks, in the New York banking center. We have previously covered the arrest, in Montego Bay, Jamaica, of Dalton Forrester of New York, on multiple money laundering charges. He attempted to smuggle in over USD$100,000, concealed in his luggage, and on his person. Jamaican law enforcement agencies have reported that Forrester functioned as a bulk cash courier, transporting criminal proceeds into the country. (A) Illegal Cross-Border Movement on Funds. (B) Bringing Criminal Property into the country. (C) Possession of Criminal Property. Sentencing has been set for May 2, 2016. WILL SPOTLIGHT ON PANAMA'S BANKS EXPOSE THOSE WHO LAUNDER FOR RUSSIAN ORGANIZED CRIME ? The firestorm of attention, now focused on the Republic of Panama, especially upon its banking industry, may expose some of the country's darker banking secrets. Given that the financial world's attention span may be short, let us proceed to open the door to one of the more sordid aspects of Panama's banks: its ongoing love affair with Russian organized crime, and its criminal proceeds. While it may be considered poor manners to precisely name the offending financial institutions involved, let us work around their identities, as we detail the offenses. I have two panamanian banks in mind; both maintain separate Private Client facilities, for their best high net-worth customers. the problem is, they are members of various Russian organized crime syndicates. Both banks have no issues with accepting as much capital as can be deposited by these clients, with absolutely no questions asked, as to Source of Funds. (1) The first bank made the mistake of seizing deposits reported to be the property of a certain Cartel, and one of their most senior officers was subsequently kidnapped, and held for two years, suffering the loss of certain of his body parts, during the unfortunate affair. (2) The second bank, which started out as a money service business, was accused of sending a carload of credits cards to Venezuelan clients, and it later got into hot water on another matter, where it was accused of misconduct. Of course, by now my readers know that no Panamanian bank is ever charged with money laundering by the country's prosecutors, even laundering the profits of Russian organized crime. What are the Russians doing so far from Moscow, you ask, and exactly how are they earning these millions of dollars that are depositing in institutions that I will refer to, for the sake of this article, as Bank M and Bank T ? They obtained lucrative government contracts, from very senior officials, and were represented by the most prominent attorneys in Panama City. We will name & shame them tomorrow, so stay tuned. Fearing the imminent filing of criminal charges against them, the partners at the law firm of Mossack and Fonseca ordered that several categories of files be immediately shredded. Witnesses have reported seeing an unusual number of large garbage bags, all full of shredded documents, which had been removed from the the firm's offices, and which confirms the scope of destruction. Law enforcement subsequently found a large quantity of bags in an unmarked residence, some of which were confiscated as evidence. You will recall that law enforcement agencies the Government of Panama raided the MF offices recently, and took evidence away, including information stored in electronic form. It is known that much of the data also existed as hardcopies, in traditional office files, and it is believed that this is what has been destroyed. On another note, it was this blog that originally broke the story, that the theft of information from MF was an inside job, performed by present or former employees, although MF public relations staff alleged that computer hacks were the cause. Now, after extensive analysis and investigation, Panama law enforcement has confirmed that no massive hacks of data ever took place, meaning that our original details regarding an inside job were true and correct. The Superintendent of Banking in the Republic of Panama (Superintendencia de Bancos de Panamá) has cautioned the country's banks that they may be required to disclose details of their business with Mossack and Fonseca, including the names of corporations, formed by that law firm, holding accounts at the banks, and the identities of directors of those companies. Although, on the surface, it appears to be a heads-up, allowing the banks to search their records, and to prepare to respond, when so ordered, other observers in Panama assert that the warnings were only delivered to give the banks, many of whom openly engage in money laundering, time to destroy incriminating books and records. Some Panama watchers believe that corrupt payments, at the highest level, insure that the money laundering continues with impunity. Remember, both the current Superintendent of Banking, Ricardo G Fernández D, as well as his predecessor, Alberto Diamond R, have utterly failed to control the rampant money laundering that pervades the Panamanian banking structure, declining to charge either the guilty banks, or their officers, and there is no indication that the so-called "reformist" administration of President Juan Carlos Varela will ever go after the banks that launder drug cash, bribe & kickback money, and even terrorist funds en route to Hamas and Hezbollah. Insiders in Panama have reported that Gary James Lundgren, now barred for life, from any involvement in the sale of securities in the United States, is seeking to leave the country, permanently, to evade possible criminal charges. He is planning on raising traveling money buy liquidating his real estate assets, but his method involves both fraud, and the sale of unregistered securities to US citizens. First, Lundgren is seeking American investors to purchase his extensive real estate holdings, much of which was acquired by defrauding US & Canadian expats, through bearer share fraud. He is offering an investment, whereby the victims' money will be used to purchase his Panamanian real estate assets, which will then be sold or leased. It is a classic case of an investment contract, where it involves an investment of money, in a common enterprise, with an expectation that profits will depend solely upon the efforts of a promoter or third party. See SEC vs. WJ Howey Co., 328 US 293 (1946). Lundgren has failed to register his scheme with the Securities & Exchange Commission; Remember, he is banned from any relationship with an entity engaged in sales of securities. Second, he is offering two free months rent, to prospective tenants of his other holdings, provided that they pay the ten months' rent in advance. What he is not telling the tenants is that the properties are heavily mortgaged, and that he intends to default upon the mortgages, after he flees the jurisdiction, meaning that the banks will foreclose, and evict the tenants, long before their year-long lease expires. Gary Lundgren will be long gone, and the tenants will have no remedy, in either law or equity, in the Panamanian courts, and will then be added to the long list Lindgren's victims. All the transactions, including escrowing the bearer shares of the corporations that hold the real estate, will be handled by Global Legal Advisers, SA, which is being touted as an independent law firm, but in truth and in fact, it is composed of three of Lundgren's in-house attorneys, and there will be no relief, when the victims wake up to the fact that they have been defrauded, and that Gary has left Panama, with all their investment money. Additionally, Lundgren is telling prospects that there is an independent audit, confirming the money-making potential of his real estate empire. What he's not disclosing is that the so-called auditor is no other than his wife, accountant Griselda Perez. Somehow, I do not think that she will render objective opinions about the properties, which Lundgren is unable to lease or sell in the current state of Panama's economy. The question remains: will Gary Lundgren now be arrested, before he can take the money and run ? Faced with the closing of an increasing number of correspondent relationships with New York financial institutions, Panamanian banks are desperate to acquire news correspondent accounts in the United States, lest they be totally denied access to the American financial structure. it has been proposed that a state-owned bank, the National Bank of Panama (Banco Nacional de Panamá) a/k/a/ Banconal, itself open a branch in New York, and thereafter serve as the correspondent for all the country's commercial banks, eliminating the fear that further relationships with American banks will be terminated. (1) Notwithstanding its name, the National Bank of Panama is NOT a central bank; the country has no central bank. Panama, though its official currency is the Balboa, runs on a dollarized economy. The name confuses foreign financial institutions not familiar with Panama; it is hardly the safe, highly regulated entity that the name connotes. Is there an intent to deceive the financial world, by inserting it between Panamanian banks and the financial world ? (2) The National Bank of Panama, which its proponents have stated once operated a facility in New York, and is therefore best suited to assume the correspondent role, had only an agency in the US, and it was during the Noriega regime. Closed on May 22, 1991, by New York State regulators, it did not have a stellar record during the nine years it was open. (3) Panama's banks, which are never charged with money laundering, by the country's regulators or law enforcement agencies, but are deeply involved in supporting criminal elements, are simply not to be trusted to maintain banking best practices compliance, with effective AML/CFT programs. Placing a "government-owned" bank, as an intermediary, basically puts distance between North American banks, and the bad actors, who are clients of Panamanian banks. It is an attempt to stamp an approval rating upon suspicious transactions, and to keep US banks at arms length. This is not only a bad idea, it could allow laundered narcotics profits, the proceeds of bribes and kickbacks given to corrupt PEPs, and even terrorist funding, into the Continental United States, with impunity. Let us hope that the New York Department of Financial Services, whose actions have demonstrated that it is the single most effective financial regulatory agency in the United States, denies Panama's banks a license for this front, through which they can move dirty money into the global financial structure. Last week, Treasury named the individuals, and entities, who are now subject to additional sanctions, pursuant to the regulations issued under the Hezbollah International Financing Prevention Act of 2015. Readers who wish to review the complete text of the information, can access it here. In their rush to ascertain whether any of their accounts are being held in the name of bearer share Panama corporations or foundations, formed by Mossack and Fonseca, do not lose sight of the fact that the law firm regularly formed bearer share companies in other Caribbean tax haven jurisdiction. We have already seen that MF was fond of giving its clients companies incorporated in the British Virgin Islands, notorious for their opacity, and even now, only offering a small crumb to UK regulators, with enough loopholes to drive a large truck through. The use of a BVI company, when the accounts are located in another offshore financial center, additionally complicates identification of the Beneficial Owner, especially when a Power of Attorney (Poder), naming a third party, especially when a cooperating attorney, with his privilege, is employed. Attention will certainly shift to the BVI, when the full extend of MF use of its jurisdiction, is disclosed, as complete copies of documents are made public. Do not lose sight of the widespread use of the BVI-Cayman Islands "Sandwich," where a British Virgin Islands corporation holds a Cayman Islands bank account. We have not yet seen MF documents evidencing this use of the Cayman Islands, to shield clients' identities, but you can expect to see it mentioned. The extent to which the BVI and the Cayman islands receive a "black eye" from the Panama Papers scandal cannot be ascertained at this point, but there will, assuredly, be damage. One only needs to read the details, about the new demands, from the New York Department of Financial Services, made upon thirteen foreign banks with offices in the state, to understand that there will be consequences, across the full spectrum of Caribbean tax havens, and that it will get ugly. Compliance officers at US banks must always be alert for NGOs and nonprofits that may be linked to, or controlled by, Specially Designated Global Terrorist (SDGT) groups, especially Hamas, and Hezbollah, given a history of zero tolerance by Federal law enforcement agencies, due to terrorist financing threats. 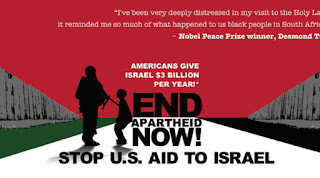 Congressional testimony, given recently at a joint hearing before two committees of the House of Representatives, detailed two organizations involved in the anti-Israel Boycott, Divestment and Sanctions (BDS) campaign, whose staff included either individuals known to be connected to Hamas, or who formerly worked at organizations, either shut down, or held civilly liable for providing material financial support to Hamas, such as Holy Land Foundation, Islamic Association for Palestine, and KindHearts. (1) American Muslims for Palestine. (2) Students for Justice in Palestine. Banking any organization, or nonprofit entity, that promotes the BDS agenda, should only occur after a thorough Enhanced Due Diligence (EDD) investigation, including the identification of all members of the leadership, to ensure that they have not been linked to any SDGT, and frankly, the reputation damage that may occur, should your clients learn that these entities are bank clients, should deter you from banking them, period. From a risk-based approach, the threat posed by potential terrorist financing charges against the bank, far exceeds the possible community goodwill, and small profits to be earned, from such business. Banks that do not want to show up in negative newspaper stories, for banking purveyors of hatred and prejudice, should decline BDS groups. Gary Lundgren's old securities firm, Interpacific Investors Services, Inc., may have been shut down, and Lundgren given a lifetime ban in the securities industry, but he has reinvented his firm as Interpacific Realty Investments, purporting to be a real estate investment firm, but, in truth and in fact, he is actually still selling securities, both registered and unregistered, and bonds, and certainly not through that 119 Cedar Street, Seattle, Washington office, whose address appears on the website. he is still working offshore. Clients who access Lundgren's old bond website, www.iisbonds.com/ , are sent to the new "real estate investment" website, where customers are invited to invest, and are directed to Gary Lundgren's old email address, iistrading@yahoo.com . The website also boldly offers a broad range of legal advice to clients, though there are no attorneys listed or named, or biographies supplied, and since Lundgren's former Seattle firm had no lawyers on staff, his new shell company is engaging in Unauthorized Practice of Law, a Class C felony in the State of Washington, RCW 2.48.180, punishable by 5 years' imprisonment, and a $10,000 fine. Curiously, the "Practice Areas" page of the website contains no entries. 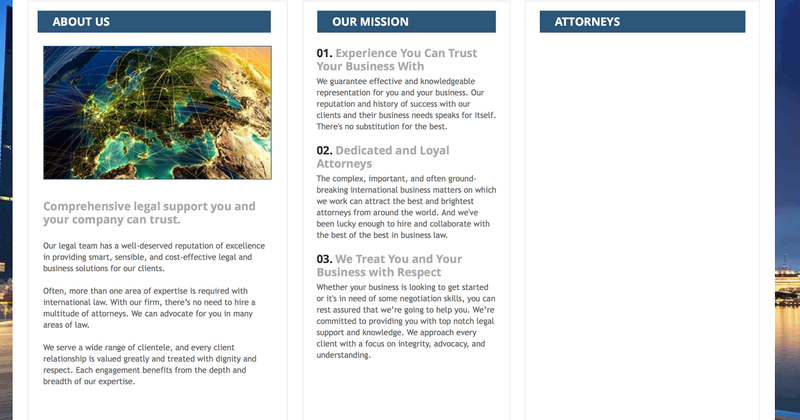 The title on that page is:"International Business Law Firm helping your Business find its Way," but there is no law firm or attorney. Note that Global Legal Advisors, SA, which has belatedly been attached to Lundgren's website, is NOT a part of his operation, and even if it was, none of the the attorneys listed are admitted to practice in any of the United States, making any advice they would render to clients residing there, the Unauthorized Practice of Law. The name of their entity is deceptive, and leads the reader to believe they are duly qualified everywhere, another material misstatement of fact. Actual screen shot from website. LAW FIRM ??? No attorneys, no other staff, just Gary Lundgren in Panama, with three burly bodyguards, to keep victims at bay. Employees at Lindgren's office in Panama report that he is trading securities for clients living in the Continental United States,, using three computers simultaneously, and employing the email addresses of his two sons, James, and ZacGary, and his wife, in order to evade further sanctions from FINRA and the Securities & Exchange Commission. He is known to be focusing the sale of junk bonds, and unregistered securities, to US investors, which is a violation of his lifetime ban on trading. Given that there was little publicity, regarding Lundgren's case with FINRA, most of his former clients may not know, or suspect that he is not longer allow to work anywhere in the securities field, and continue asking him to make trades, on their behalf. Clients will unfortunately assume that they are dealing with the Seattle office, but will later learn, to their dismay, that it is unlicensed, meaning no Securities Investors Protection Act coverage, and that Lundgren is actually operating out of a dodgy tax haven that has been the subject of the Panama Papers scandal, very recently. 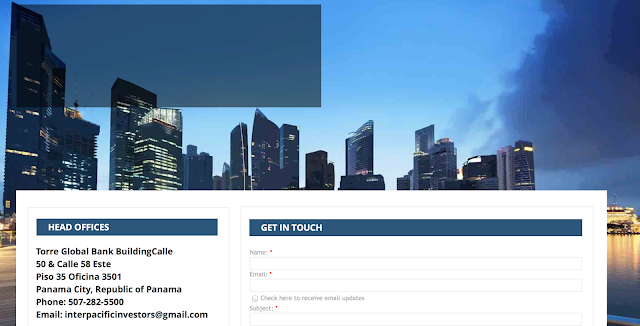 Note: Seattle head office on one page, Panama City head office on another. One wonders whether the State of Panama, which has never granted any securities licenses to Mr. Lundgren, will now take legal or regulatory action against him. Perhaps he can be declared persona non grata, and put on a plane bound for the United States. Dalton Forrester, a 35-year old American citizen who attempted to smuggle in over $100,000, in cash, into Jamaica, has been detained, and charged with multiple counts of money laundering-related offenses. He had concealed USD$101,378.00, upon his person, and in his luggage, upon his arrival at Sangster Airport, on April 9, 2016. Forrester, who Jamaica authorities state is from New York, may be from Boston, as public records show only one African-American individual in the US with that exact name. That Dalton Forrester has an upcoming wedding set for September 2017, and if they are the one and the same individual, his fiancé, who has posted details about their relationship online, is in for a surprise. (1) Bringing criminal property into Jamaica. (2) Possession of criminal property. (3) Concealment of criminal property. (5) Conspiracy to possess criminal property. There is a hearing set for today, April 20, 2016, at Montego Bay Magistrate's Court. President Juan Carlos Varela, seeking to contain the massive reputation damage that his country is sustaining, by reason of the Panama Papers disclosures, about tax evasion and illicit money hidden by corrupt politicians, through the Mossack and Fonseca law firm, has stated that bearer shares will be shortly abolished. Why should we believe him ? Much of Panama's attraction, as an offshore financial center and tax haven, is centered around the absolute anonymity that bearer shares deliver, and should such a vehicle no longer be available in Panama, you would see capital flight out of the country, and a serious drop in new business, which would insure a major depression in the local economy. Given only lawyers and law firms can form corporations in Panama, you can count on the legal sector to see that National Assembly never passes sufficient legislation, that would end the laws authorizing the issuance of bearer shares. Panama's banks, many of whom practice willful blindness, regarding both Source of Funds, and Beneficial Ownership of corporations, would also block any reform of the corporate code, so don't hold your breath, waiting for the imminent enactment of legislation, in Panama, that would, in essence, kill the country's illicit offshore industry. bearer shares, and dirty money, are both here to stay in the Republic of Panama. Money launderers charged with repatriating narcotics profits earned in North America are always looking for targets of opportunity, especially events where they can hide their wire transfers within the huge flow of relief funds that follow natural disasters, and the recent earthquake experienced in Equador has most certainly got their attention. (1) Equador has had a Dollarized economy since 2000. (2) It is adjacent to Colombia. (3) It already serves as destination for southbound narco-profits en route to Colombia. (4) the country is in dire need of financial aid to assist in earthquake recovery. Money launderers have a history of using natural disasters, where all efforts are focused on getting aid to the affected area, and the willingness of bankers to facilitate rapid movement of what appear to be aid funds, to transfer drug profits, free of the usual scrutiny. Look for the names of charitable organizations that are deceptively similar to those that are well known, or those that are no longer active. It is also possible that small or obscure legitimate charities may be co-opted to move dirty money, though bogus entities are more likely. Bankers who are urgently requested to help with disaster relief may not take the time to vet NGOs, or entities who claim to be charities, in light of the emergency. Therefore, if you do not know the charity, including the individuals who are seeking your assistance, Mr. Banker, please ensure that a thorough due diligence investigation is conducted by Compliance, even if the charity is referred to you by a longtime client, for legitimate individuals, who believe they are doing good works, may unwittingly be facilitating the movement of drug profits. When FINRA ordered Gary James Lundgren to produce his accounts and records, he brazenly disobeyed five FINRA directives to open his books and records; the result was the ultimate loss of all his securities licenses, and a lifetime bar on any participation in the securities industry*. No legitimate trader of securities would ever allow that to occur. His lawyer, Alcides Peña**, attempted to employ every single procedural roadblock, to delay the proceedings, asserting one bogus defense after another, until FINRA removed him, due to the simple fact that he was not admitted to practice law in any state. The final stunt: after asking for a hearing, Lundgren decided not to attend, probably because he fears a sealed Federal indictment exists, charging him with securities violations, and tax evasion. Why would any licensed trader, with a lifetime of experience in the field, allow such a result, when he could have easily avoided such a disastrous outcome, by disclosing his finances. ? Read on. (1) Lundgren took investment funds from US citizens, paid through his brokerage firm in the State of Washington, to his accounts in Panama, where he did not hold any securities licenses, and purchased local real estate, as well as unregistered securities, and took some of the investors' money into his personal accounts, so that he could make investments in his own name. (2) Lundgren has a long and sordid history of accepting bulk cash from criminal clients located in Colombia, who sell narcotics, and engage in other illegal cash-producing businesses. He laundered the money, by using it to purchase real estate in Panama, from Panamanian builders who accepted the money, no questions asked. His connections with traffickers in Medellín are well known. (3) Lundgren had a long history of accepting money for convicted Pyramind/Ponzi schemer, David Murcia Guzmán, and when Murcia was extradited, never to return, Lundgren reportedly retained millions of dollars, which he converted to his own use. Any close examination of his bank accounts would surely find deposits for which Source of Funds could never be established. (4) Lundgren knew securities salesmen all over the United States, who steered investor funds to him, as he was paying high commissions to those who did. Lundgren promised double-digit returns, monthly, and his well-known high yield investment program, which was bogus, also constituted a security under US laws, meaning that SEC registration was required; it was never performed. Therefore, had he followed the law, and timely delivered to FINRA the necessary records, he might have gone to prison in 2015, when the documents produced incriminated him. True, his dilatory tactics may have bought him some extra time, perhaps before any criminal charges were filed in the US, but his situation has now deteriorated further. Two Panamanian law enforcement and regulatory agencies have now opened an investigation into Gary Lundgren's acts; one of them is a task force on organized crime. 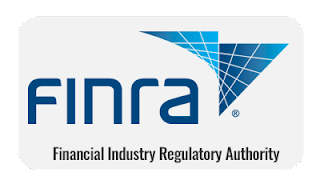 One US law enforcement agency is known to be conducting a new investigation, after Lundgren made repeated death threats to journalists reporting on his FINRA disbarment. He continues to illegally participate in the trading of US securities, using third parties, in a direct challenge to American regulators. Due to his advanced age, Lundgren, should he be convicted in Panama, would be sentenced to home confinement, but in the United States, where the Bureau of Prisons maintains state-of-the-art medical care, and he will have to serve some serious prison time; Let justice be served. The lengthy press releases, published by Mossack and Fonseca, claiming that the law firm's Customer Identification Procedure, and compliance staff, were conducting due diligence upon all their clients, appear now to be a joke. Miami is buzzing about the disclosure that Franklin Duran was conducting business with MF, while he was actually serving a four-year sentence in Federal Prison. This confirms that there were no checks performed on clients by the law firm. Duran is notorious in Miami, due to the "Suitcasegate"corruption scandal, which was the seizure of $790,550 in cash, by Argentinian Customs, when local Key Biscayne resident, Guido Antonini Wilson, attempted to smuggle in an illegal campaign contribution, destined for Cristina Fernandez de Kirchner. The money, which came directly from PDVSA coffers, traveled with Antonini to Buenos Aires on a private jet charter, where the passengers on board, which included a number of Argentinian (PDVSA) and Venezuelan state officials, imbibed an obscene number of bottles of Johnnie Walker Blue Label $200.00 Scotch. It was later alleged that $4.2m was successfully smuggled into Argentina that day, for Kirchner's campaign, by another individual on the flight. 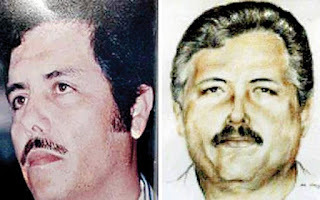 Duran later traveled to Miami, and threatened Antonini, and his family, if he told the authorities the truth about the origin and purpose of the money. 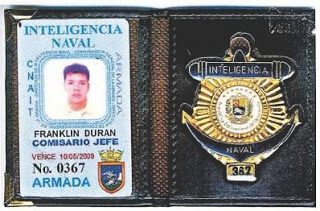 Duran was convicted of the Federal crime of acting an an unregistered agent of a foreign power, namely the Government of Venezuela, and conspiracy. The fact that a fifteen-second Internet search would have turned up Duran's case confirmed that there is, in essence, no real compliance practiced at Mossack and Fonseca. The firm admits that it did not discover Duran's unsuitability, as a client, for five years after the fact, and that may have occurred only because investigative reporters were overtly inquiring about MFs clients in 2015, and the firm may also have known about an American law enforcement investigation that began in 2014. 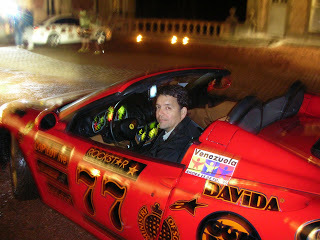 Franklin Durán, in the Gumball Rally. Duran, after serving his sentence, was deported from the United States. He is reportedly living in the Republic of Panama. Compliance officers, be advised that his complete name is Franklin Durán Guerrero, born 12 September, 1967, in Caracas, and his Venezuelan Cédula Number is 7.927.630 . Next month, a complete list of MF clients is due to be released, and further evidence is expected, confirming that Mossack and Fonseca deliberately ignored performing even the most rudimentary check on new clients, so long as they paid the exorbitant fees the law firm charged for corporate services. The Kingdom of Bahrain, lining up with the actions of the other Gulf states, the GCC and the Arab League, has formally designated the Lebanese Shi'ite group Hezbollah, as a terrorist organization. 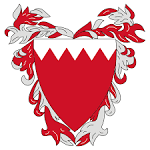 Bahrain also designated 68 other regional Islamist groups as terrorists, including Al-Qaeda and ISIS/ISIL. Some of the groups are obviously local branches of the same organization, and it is not known how many of these are regional "unofficial" names adopted from segments of major trans-national groups, to distinguish themselves from the mainstream ones. Also, remember, that these are transliterations into the Latin alphabet, from the original Arabic, and a number of variations of these names will certainly exist. Some of these groups may be very small, and others known only from their press releases, or Internet presence, but other represent a current clear and present danger, both in the Middle East, and increasingly, in the West. Gary James Lundgren, his securities license revoked for life by FINRA, and his clients clamoring for their promised 15% per month interest payments, due from a fraudulent high value investment program he operates, has apparently replaced his in-house attorney (read that as court fixer), Alcides Peña, with Gaspar Antonio Lee Pedreschi, whose photograph appears at the top of this article. If you encounter this guy in Panama City, stay far away, if you want to keep your assets. 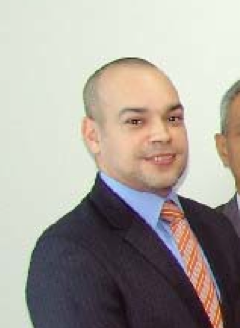 Pedreschi, who now makes the rounds with Lundgren, in Panama City, is listed, in the public records, a a director and/or subscriber, of many of Lundgren's fraudulent securities and real estate corporations, and you can assume that he is working with the Alaskan expat's two grown children, in fronting for him, regarding unlicensed trading in US and Canadian securities as well as assisting with Lundgren's true specialty, using bearer share Panamanian companies to fleece retired North Americans. One more thing: Pedreschi has been heard openly bragging about his regular trips to Medellín, Colombia, so you can add bulk cash smuggler, and money launderer, to his list of duties for Lundgren, who is know to launder narcotics profits, through the purchase of Panama City condominium apartments and offices. Perhaps someone ought to inform this young lawyer about the extraterritorial reach of the Money Laundering Control Act of 1986, and the 20-year prison sentence that can be imposed for violations. Details released this week, reportedly from the examination of documents known as the Panama Papers, indicate that the law firm of Mossack and Fonseca served a number of intelligence services, including, most notably, the Central Intelligence Agency (CIA). That information is indeed correct: Mossack Fonseca assisted the CIA, with both the formation and operation of anonymous shell companies, and the covert movement of cash. MF name partner, Jurgen Mossack's father, Erhard, was a CIA asset in Panama, during the Cold War period, which may have served to facilitate MF involvement. The Panama aspect of the Iran-Contra operation, wherein arms and ammunition delivered to Central American airstrips, ostensibly for the Contras, who opposed the radical Sandinista regime in Nicaragua, and money was earned through the sale of narcotics, smuggled into the continental United States, was commanded by CIA supervisor Reeve Whitson, and assisted by a Canadian covert operative known by a code name; Maximilian. Whitson's unit, known as the Quarry, supervised the arrival of cash, at a private CIA-controlled airfield at Punta Pacifica, in the area where the Trump building now stands. It is doubtful that any significant information will be extracted from the Mossack documents, due to the fact that all the relevant MF files were not kept at Mossack; they were stored at the US Embassy. The other covert operation that MF assisted the Company with was the Bank of Credit and Commerce International, more commonly known as BCCI, which later imploded in a scandal that exposed the hidden hand of the world's darker forces in the opaque world of international banking and finance. Again, Mossack and Fonseca provided corporate and financial services to the Agency, in its dealings with BCCI. Mossack and Fonseca also assisted the CIA with projects, but information about those matters is still believed to be classified, and therefore not an appropriate subject to be included here, but the law firm's covert involvement occurred over a period of many years. When I wrote the recent article Mossack's Covert Global Sales Apparatus Operated under the Radar, on April 6, I noticed that the Miami office manager of the Mossack subsidiary, which appears to be a sales office, though it operates out of a residential condominium, curiously showed up with two different last names. One of our readers of that article commented that he found she has been using four different names. This is a technique specifically designed to foil any investigation that seeks to find a pattern, or course of dealings, in financial transactions. It is a method of deception often used by financial criminals. We must assume that they are in widespread use by overseas Mossack staff members, as they attempt to confuse any possible inquiries, or due diligence investigations, and conceal their business from local licensing authorities, as well as tax men, and regulators. 1. Using the staff member's full four-part Latin American Spanish name ( first name, middle name, father's last name, mother's last name). 2. Splitting her last name into two parts, and making the first part of it into a bogus middle name. 3.Using her full middle name, and a fragment of the last name. 4. Using a compound or hyphenated last name. 5. Using the middle name as her last name. Searches, in local public records, and state or provincial corporate services websites, can uncover the use of alternative names by the same individuals. One must only look for documents with the same common denominator, such as recorded filings, to see the signatures of deceptively similar, yet unique, names, which could be the same individual, seeking to confuse investigators or law enforcement. The takeaway here is that Mossack Fonseca should be expected to have used all the tradecraft of money launderers in its representation of criminal clients, including the normal precautions taken by financial criminals. The law firm of Mossack and Fonseca, whose global money laundering and tax evasion facilitation program has been exposed in the Panama Papers, was also apparently involved in the Financial Pacific/Petaquilla Gold Mine insider trading scandal, reportedly, according to individuals who have access to the information gleaned from MF emails, and documents, given to certain media by whistleblowers. For those not familiar with the Financial Pacific case, the participants, relying upon inside information, purchased huge amounts of shares of Petaquilla Mining stock, which soon thereafter, based upon the public release of favorable information, soared. The fraudsters then took obscenely high profits; the trades were effectuated using the Financial Pacific brokerage house. 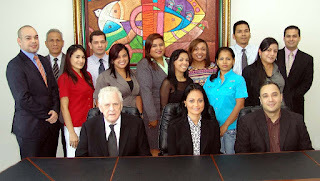 Certain of the Mossack firm's clients were reportedly privy to the inside information and the movement of their funds through accounts which it opened for those clients, to purchase Petaquilla stock, was allegedly accomplished by MF staff, at cooperating banks, through Financial Pacific. We have previously covered the dominant role in Financial Pacific's purchases of shares of Petaquilla stock, for clients, by Gary James Lundgren, the American expat trader whose securities licenses have recently been revoked by FINRA, and who is now barred, for life, from trading in securities, in the United States. Lundgren's connections with Mossack and Fonseca, and those of its clients who traded on inside information, has not yet been publicly released by the teams of journalists who have been reviewing the MF material, but several Panama insiders believe that he handled many of the illegal trades for MF clients, and that he may have provided some of the cash needed for the large purchases of stock. Only when the complete treasure trove of data is released will we know the true extent of the Mossack and Fonseca firm's involvement in the massive securities fraud, which was perpetrated upon innocent investors who purchased Petaquilla shares, at vastly inflated prices, from MF clients, who had inside information, ahead of the investing public. 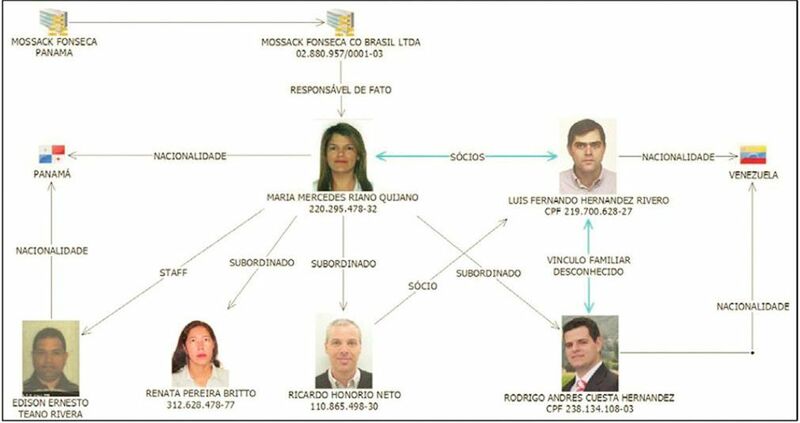 According to the source, Attorneys Blandón and Young delivered a large number of clients, who were all affiliated with Russian Organized Crime syndicates, to Mossack and Fonseca, who handled all their corporate and financial business. Then, President Varela, in a prearranged deal, saw to it that lucrative government contracts were awarded to those new shell companies formed by the Mossack firm, and controlled by the same Russian criminal elements. It is premature to estimate whether these disclosures will force Varela or Blandón to resign, and in Panama, corrupt senior officials tend to stay in office until the end of their terms, after which they relocate to the United States, so as to enjoy the illicit fruits of their corrupt labors, so do not look for him to bow out. Whether Mossack, and his partners, are ultimately indicted, however, is another story. Watch this blog for further news regarding this developing story. Our thanks to Zelda Robbins, for providing it. Panama's Varela administration has severely cautioned the country's newspapers about reporting any further negative details of the so-called Panama Papers documents. Editors of the major print media have passed that warning along to their rank-and-file journalists; all stories to be published, must first be approved by the senior editor, and the newspaper's attorneys, before they will be allowed. The net effect of this virtual censorship is that only stories favorable to the law firm of Mossack and Fonseca, the focus of the Panama Papers scandal, will be printed. We have seen a very articles, but they all focus on the Government's reputed investigation of the outside "hack" Mossack servers. In truth and fact, the documents were taken, in an inside job, by multiple individuals. 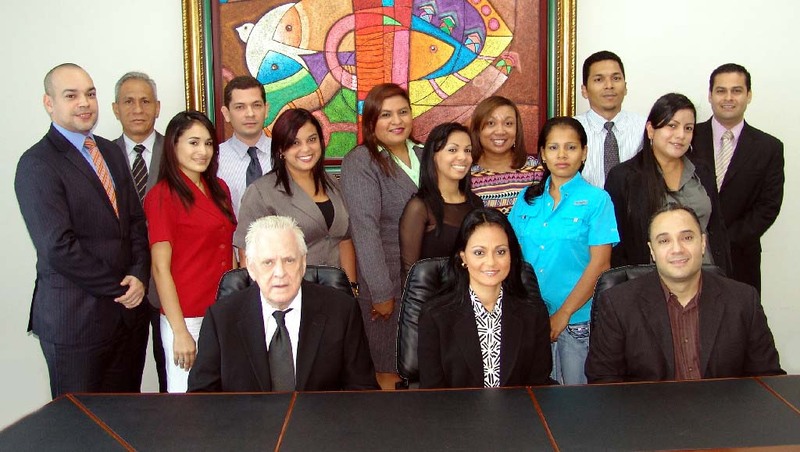 The Mossack & Fonseca law firm , though it grossed $42m in a recent year, according to reliable reports, paid many of its staff minimum wage, periodically had major staff layoffs. Some observers believe that these policies were to encourage a periodic turnover in support staff, so that no individual learned too much about the firm's many clients. The same reason is given for the firm's penchant for engaging inexperienced compliance officers, and changing them every two years or so. Press censorship, in such a vital topic as the Panama Papers case, harms not only the global business community, but also could result in critical, inside information being withheld from the public at large. Freedom of the Press has been under attack in the Caribbean of late, generally by governments eager to avoid the release of damaging information, often about corruption. Whether this is the beginning of widespread news management in Panama, by the government, is not known, but due to the controversy spawned by the release of the Panama Papers, it is critical that locally-obtained information and news be freely distributed in the Panama City media, for the protection of the financial institutions in the Western Hemisphere, investors, and compliance officers charged with risk management. Readers who were wondering exactly how all those corrupt politicians managed to get their bribe & kickback money into Mossack Fonseca's wealth management division, allow me to explain. They used the notorious VIP Arrivals Lounge at Panama's principal airport, Tocumen International, and walked their cash right in, free of any inspection or examination. Most Latin American countries have a Very Important Persons facility at their international airports; while they were designed for the wealthy upper class, to allow them to avoid long customs lines, they unfortunately allow anyone lucky enough to have the connections to gain entry to totally evade any customs inspections, which is a boon for money launderers and bulk cash smugglers. In Panama, the parties are met upon arrival, and prior to formal entry into the customs and immigration lines. They are taken into VIP lounge, and can then immediately pass through, with all their possessions free from any inspectors, or questioning. Arrival/departure cards are processed, and they soon depart for Panama City. This is how foreign officials, or their bulk cash smugglers, gain unfettered entry into Panama, and the preferred route for many a Mossack Fonseca client over the last forty years. 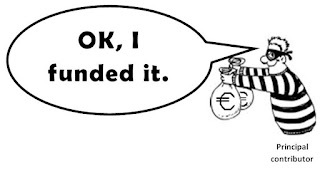 DID FINTRAC FAIL TO SERVE THE PUBLIC GOOD BY WITHHOLDING NAME OF OFFENDING BANK ? A firestorm of protest continues to emanate from the financial community in Canada, because the country's anti-money laundering regulator, FINTRAC, has declined to release the name of the bank against which it imposed a CAN$1.1m fine, deserves an answer. Notwithstanding that FINTRAC routinely releases the identifies of other non-bank financial institutions (NBFI) that it names & shames, the agency continues to shield the name of the offending bank from disclosure. All of Canada's major banks have reportedly denied that they are the guilty parties, leaving the small regional banks, which are unlikely, and the Canadian branches of foreign banks, where the guilty party is most probable. The ostensible reason given by FINTRAC, regarding the failure to name the bank, would involve a lengthy appellate process; if this was truly the case, then why does the agency generally release the names of the non-banks that it sanctions and fines ? I frankly cannot buy this argument. The other FINTRAC argument is that, if the bank is named, then all its correspondent accounts may be terminated. I do not buy that argument either; if the unnamed bank loses its correspondents, the such action is necessary for any risk-based compliance program of the banks it is doing business with. The bad bank brought the hardship on itself. Canada's big banks have a valid point: if the offender is not named, then all the banks, which are most likely not involved, are now under the cloud of suspicion ? Also, the business public has a right to know who it should avoid. Canada's regulators are clearly not sensitive to the greater good here, and they should be called on the carpet for it, in the court of public opinion, to discourage similar actions in the future.